Booka Shade kicks off 2019 by joining forces with Kaktus Einarsson from Fufanu for a new single on their imprint, Blaufield. Premiered by Pete Tong on BBC Radio 1, ‘I Go, I Go’ features Kaktus Einarsson’s emotive vocal contributions united with Booka Shade’s signature hypnotic production style - textural atmospherics, choppy synth arpeggios and wandering, resonant bass tones alongside a bumpy rhythm. 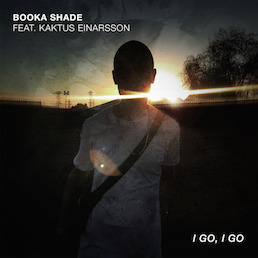 Booka Shade ft. Kaktus Einarsson’s ‘I Go, I Go’ BUY is the first in a string of releases in 2019 which will be collated into a collection of songs and released via the label in September 2019. Oz/NZ Spring Tour announced and other worldwide shows. Shows info. here: LIVE.